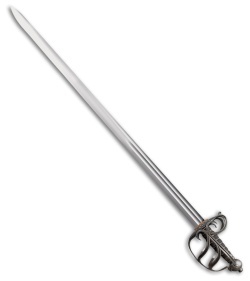 This Cold Steel English Back Sword offers a stunning design for collection, use, and display. Cast metal handle with a full guard and an antique finish. 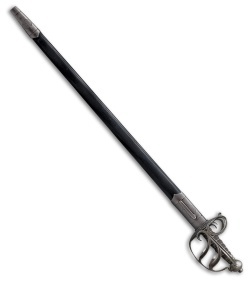 Black leather scabbard with steel fittings. 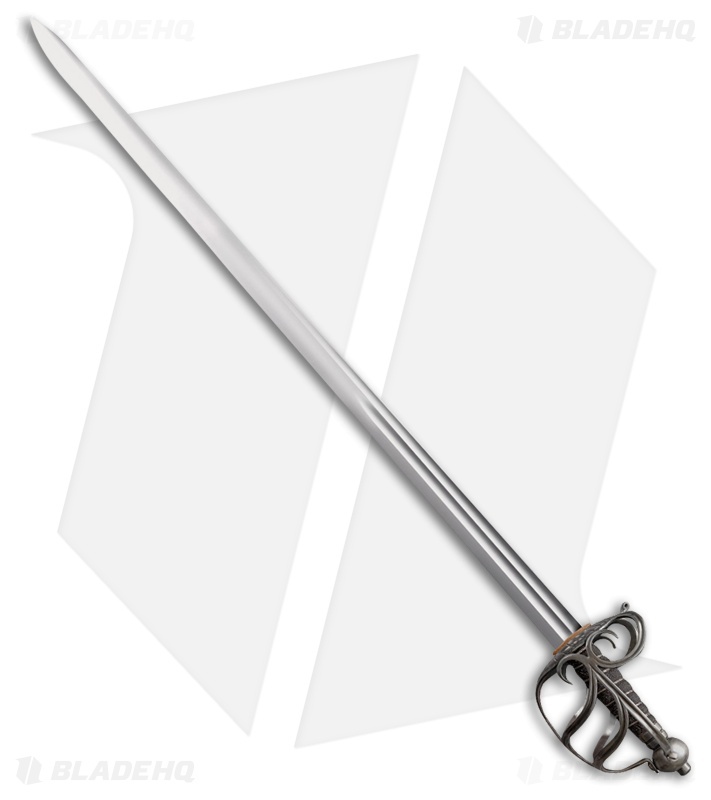 Hand-forged blade made from 1055 carbon steel.